These are the pictures from the Kukenhof Tulip Gardens this spring. The butterfly is from the butterfly garden in Ecuador. 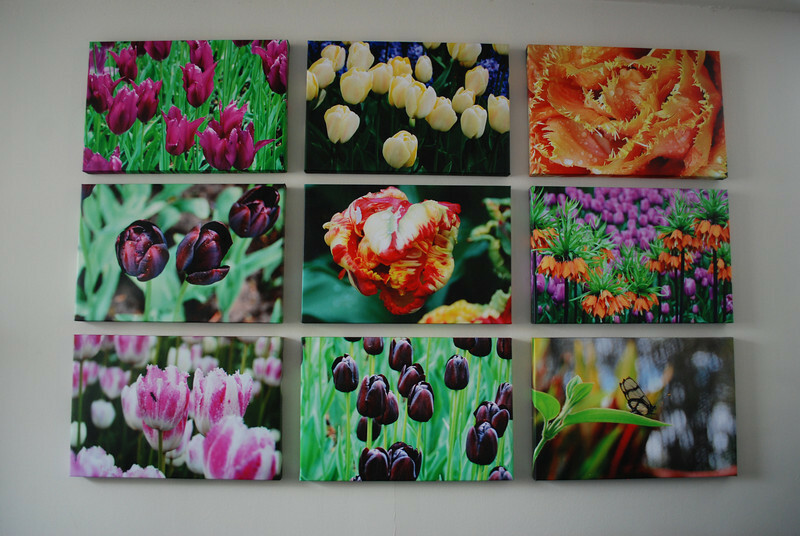 These are 16 x 14 prints done by Canvas on Demand - I sent them my jpeg and they printed them on canvass. They exceeded my wildest expectations.